Augeo comes from Latin. It is the present infinitive of the verb augēre, which means to grow, to increase, to develop, but also to honor. Our wine is a reflection of its name, as the meaning marks a beginning and outlines a horizon and perspective for development, while simultaneously showing respect and honor to our ancestors and our land.  Augeo Family Estate’s wines are of high quality and have international recognition. Our first wine Augeo Melnik 55 2016 received a medal from CWSA Best Value 2018. In April 2018 Augeo Family Estate’s portfolio was expanded with four new wines. Augeo Exquisite Rose 2017 won a gold medal at Sélections Mondiales des Vins Canada and Augeo Rose 2017 also received gold one from CWSA 2018 in China. The elegant Augeo Sauvignon Blanc 2017 won a silver medal at CWSA 2018 and Augeo Chardonnay Barrel 2016 conquered a seal of approval – bronze medal at AWC in Vienna. In the Fall of 2018 we presented four red wines. They are Augeo Ruen 2017, Augeo Mavrud Reserve 2016 and Augeo Merlot Reserve 2016, as well as the new vintage of Augeo Melnik 55 2017. Augeo Ruen 2017 is fresh, with harmonic taste that won a medal from International Wine Challenge in England in November 2018 and will surely be enjoyed by those who like wines from typical Bulgarian grape varieties. We also created Augeo Mavrud Reserve 2016 which has very intensive, dense ruby color. The other Reserve in Augeo’s portfolio is Augeo Family Estate Merlot Reserve 2016 with intensive aromas of chocolate, vanilla, mocha, caramel, ripe cherry, blueberry and blackberry. Augeo Merlot Reserve 2016 is a gold medalist from the prestigious German competition Mundus Vini. The new vintage of Augeo Melnik 55 2017 is just as good as its predecessor and is starting to walk in its footsteps as it already won a bronze medal with 86 points from International Wine Challenge in England. In the beginning of 2019 four new bio red wines made their debut. Augeo Family Estate Cabernet Sauvignon Reserve 2015 is made of grapes, grown biologically in the Struma Valley. In the aromas you could find dried mint, thyme and spices. Augeo Family Estate Red Blend Reserve 2015 is a blend between 50% Cabernet Sauvignon, 35% Merlot and 15% Melnik 55. The series is limited to 1829 bottles. Augeo Family Estate Syrah & Merlot 2016 is a bio coupage, in which the aromas are dominated by black fruits, intertwined with associations of dark cherry, hay and herbs. Augeo Family Estate Cabernet Sauvignon 2017 is concentrated with underlined harmony and velvety finish, winner of a gold medal at CWSA Best Value 2019 in China. As the name of our brand suggests, we are continuing to develop and go forward, and we are continuing to fulfill our mission to create exquisite Bulgarian wines. With notes of dried fruit, ripe red fruit, herbal spices, clove, and floral aromas.